Acer today announced the Liquid Jade 2, an elegant Android smartphone designed for a superior multimedia experience. It features a brilliant AMOLED screen supporting 100% of the NTSC color gamut, and high-resolution audio with virtual surround sound, providing enjoyable entertainment anytime, anywhere. The Liquid Jade 2 has a 21MP main camera with PDAF (phase-detection autofocus) technology for blazing-fast auto focus. Virtual surround sound powered by DTS® Headphone:X® provides enjoyable entertainment anytime, anywhere. Up to 1TB hybrid storage, so users can easily enjoy music, video and install apps in one place. Acer today announced the Liquid Jade 2, an elegant Android smartphone designed for a superior multimedia experience. It features a brilliant AMOLED screen supporting 100% of the NTSC color gamut and high-resolution audio with virtual surround sound, providing enjoyable entertainment anytime, anywhere. The Acer Liquid Jade 2 features Acer’s award-winning Liquid Jade design language with a sleek and slim profile, curved back cover that fits comfortably in the hand and ergonomic 2.5D Corning® Gorilla® Glass screen. The hairline brushed iron-grey back cover is finished with a metallic touch and joined to the screen with a bold red silhouette highlight. The 5.5-inch Full HD AMOLED screen on the Liquid Jade 2 produces vibrant and crisp images and supports the full NTSC color gamut for true-to-life colors. The screen also features Zero Air Gap technology for improved readability under sunlight and on-cell touch technology for a slimmer profile. The Liquid Jade 2 supports high-resolution audio and features DTS® Headphone:X technology for an immersive surround sound experience with any pair of headphones. The Liquid Jade 2 has a 21MP main camera with PDAF (phase-detection autofocus) technology for blazing-fast auto focus. It supports up to 4K (3840 x 2160) video recording and has dual-LED flash. A “Professional Camera Mode” allows users to tweak advanced settings such as white balance, ISO, EV and focus mode. The 8MP front-facing camera supports an 84-degree wide angle and also supports a “Pause N Shoot” selfie mode, which detects your face and automatically starts to countdown three seconds and takes the shot. For a smooth multimedia experience, the Liquid Jade 2 is powered by a hexa-core Qualcomm® Snapdragon™ 808 processor and features 3GB of RAM and 32GB ROM. Users can enjoy up to 1TB hybrid storage, which seamlessly integrates local storage with cloud storage on select models. With hybrid storage, users can install apps, store and access music, photos, and video collections easily with their favorite apps. In addition, LTE Cat.6 and 802.11ac dual-band MIMO wireless connectivity makes downloads a snap. Exact specifications, prices and availability will vary by region. To find out about availability, product specifications and prices in specific markets, please contact your nearest Acer office or retailer via http://www.acer.com. 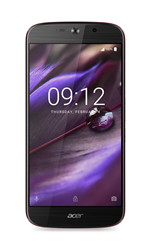 For more information about the Liquid Jade 2, please visit Acer’s display at Mobile World Congress (MWC) 2016, booth #1G50 in Hall 1, Fira Gran Via. Established in 1976, Acer is a hardware + software + services company dedicated to the research, design, marketing, sale, and support of innovative products that enhance people's lives. Acer's product offerings include PCs, displays, projectors, servers, tablets, smartphones, and wearables. The company is also developing cloud solutions to bring together the Internet of Things. Acer employs 7,000 people and ranks No. 4 for total PCs globally (IDC 2014). Revenues for 2014 reached US$10.39 billion. Please visit http://www.acer.com for more information. © 2016 Acer Inc. All rights reserved. Acer and the Acer logo are registered trademarks of Acer Inc. Other trademarks, registered trademarks, and/or service marks, indicated or otherwise, are the property of their respective owners. All offers subject to change without notice or obligation and may not be available through all sales channels. Prices listed are manufacturer suggested retail prices and may vary by location. Applicable sales tax extra.